It's an in-state battle featuring the most popular sports franchise in North American sports, the Dallas Cowboys and the Houston Texans. While the Dallas Cowboys haven't played for a chance to win Lombardi Trophy number six, the Houston Texans haven't found much success either since their inception in 2002. Though they may have much different histories, the level of success each has attained since the turn of the millennium is eerily similar. The Dallas Cowboys haven't reached the NFC Championship Game since the last time they won a Super Bowl after the 1995 season. The Houston Texans haven't reached an AFC Championship Game in their 16 year history heading into 2018. Both teams came into the 2018 season with high expectations, and yet, both have floundered in the first month of the season. The Dallas Cowboys are coming off a win that evened their record at 2-2 when they beat the Detroit Lions on a last second field goal attempt by rookie Kicker Brett Maher. Similarly, the Houston Texans won their matchup with the Indianapolis Colts on Sunday with a game winning field goal in overtime. For the Texans, however, it was their first win of the season. After just four games, the expectations for these two Texas clubs have dropped off considerably as neither is seen as a playoff contender at this point in the season. A win on Sunday could catapult either team toward a run at playoff contention. 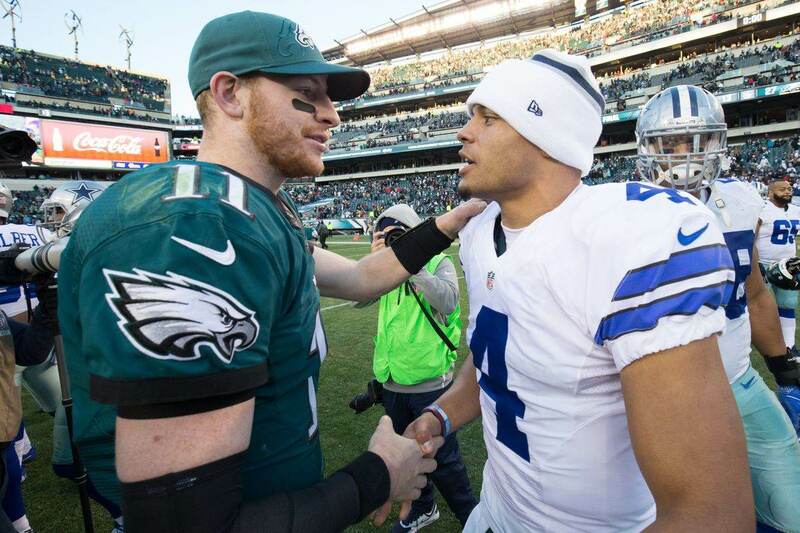 This is only the fourth regular season meeting between Texas' two NFL teams. The Dallas Cowboys hold an all-time edge in the series, 3-1, winning the last three meetings after the Houston Texans beat the Cowboys in their first game as a franchise back in 2002. In the two games with Jason Garrett as either the offensive coordinator (2010) or head coach (2014), the Dallas Cowboys averaged 23.5 points per game on offense. The 2010 game would be the only win that former Head Coach Wade Phillips would record in that season before being fired after losing six straight. Check out Inside The Star Staff Writer Kevin Brady's Cowboys vs Texans Betting Trends for more historical data heading into the week five matchup. Over Deshaun Watson's last nine games, he's averaged 302 passing yards, thrown 2.77 passing touchdowns, while completing 62% of his passes. If you were to stretch that pace out over the course of a 16 game season those numbers would look like this: 4,832 yards passing, 44 passing touchdowns, and 20 interceptions. No quarterback who has dropped back to pass at least 100 times has been pressured as often as Watson's 47.3% pressured rate. So nearly every other time that Deshaun Watson drops back to pass, he's pressured. Only Buffalo Bills rookie Quarterback Josh Allen's been sacked more times than Watson's 17. That should bode well for DeMarcus Lawrence and company. Though Watson's been under pressure a lot, it doesn't always phase him as he has the ninth highest passer rating in the NFL when under pressure at 82.1. Through the first four games of the 2018 season, Watson's throwing on average an interception per game. In his 11 game career, he's thrown 12 interceptions. Sounds like a good week for the Dallas Cowboys to get their first interception. In looking at his passing charts through four weeks as provided by Pro Football Focus, the majority of his success has come throwing to the middle of the field. He's had a lot of success throwing to the deep middle, which could be where the Houston Texans try to exploit the Dallas Cowboys defense. Last week, against the Indianapolis Colts, Watson was able to win for big gains down the right side of the field and unless Kris Richard and the Dallas secondary can rebound on that side of the field, it could be another area of weakness for the Cowboys defense. Dallas Cowboys Quarterback Dak Prescott had his best game of the season last week against the Detroit Lions. He three for 255 yards while completing 63% of his passes for two touchdowns and finished with a quarterback rating of 118.6. 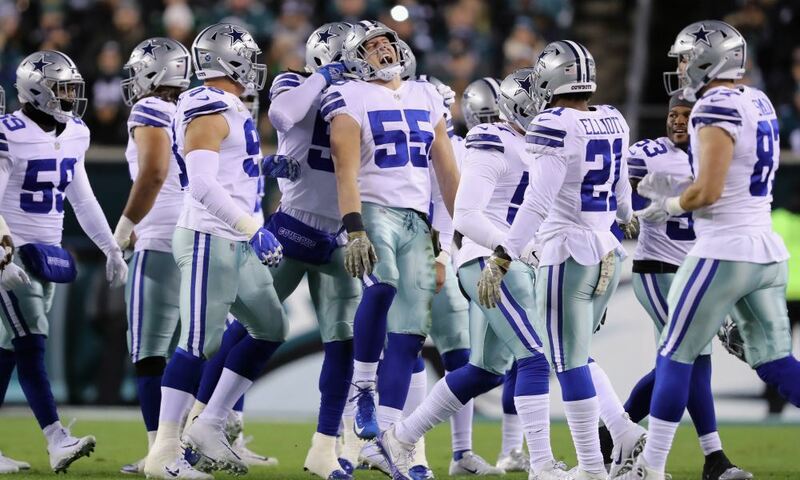 More importantly, for the first time in a long time, Prescott looked poised and confident completing several big passes down the sidelines; one to rookie Michael Gallup early in the game and the clincher to Ezekiel Elliott on the fourth quarter drive that set up the game winning field goal. On passes 10 or more yards down the field, Prescott was 5/8 for 115 yards and a touchdown. That doesn't include the big catch and run on the screen play to Ezekiel Elliott. Prescott looked like the quarterback we saw through his first 24 games. If he can keep up this play, he will silence all the doubters in route to a big-time contract in the 2019 offseason. Ezekiel Elliott and the Dallas Cowboys have reasserted themselves as one of the best running games in the NFL after four games. Elliott leads the league in rushing by nearly 100 yards. He leads the league in yards after contact and is third in the NFL in yards after contact per attempt. Elliott also ranks third in the NFL in breakaway percentage, with 50.7% of his runs going for 15 yards or more, per Pro Football Focus. Elliott has the most runs of 15 yards or more this season with 10. The next closest are Matt Breida of the San Francisco 49ers and Melvin Gordon of the Los Angeles Chargers -- still weird typing that -- with six. Lamar Miller is leading the Texans in rushing with 225 yards this season, which is 14th in the NFL. His 3.9 yards per attempts is also 14th in the NFL and he hasn't scored a touchdown this season. In yards after contact per attempt, Miller ranks 24th. Alfred Blue has been slightly better than Miller in fewer attempts this season. He has a better yards per attempt, a better yards after contact per attempt, and has scored the only rushing touchdown by a running back for the Texans in 2018. If there is a place that the Texans have the most sizeable advantage it's in the weapons they have on the outside. The Texans are able to roll out DeAndre Hopkins, Will Fuller, Bruce Ellington, and Keke Coutee when they go to 11 and 10 personnel groupings and all four of those guys could be starters or have sizeable roles for the Dallas Cowboys. DeAndre Hopkins is one of the best wide receivers in the NFL. Yes, he's up there with Antonio Brown and Odell Beckham Jr. He's finally getting to play with a good quarterback and you can see how that's helping him. He's fifth in the NFL in receiving yards and has two touchdown receptions on the season. DeAndre Hopkins may find himself matched up against Anthony Brown on Sunday since he lines up in the slot on nearly a quarter of his snaps. Fellow wide receiver, Will Fuller, is tied for fourth in the NFL with three touchdown receptions and has 263 yards receiving this season. Both Hopkins and Fuller are averaging more than 14 yards per reception. Keke Coutee broke out in week four, recording all 11 receptions he has on the season for 109 yards including 96 yards after catch. He's going to be an assignment that could give the linebackers trouble underneath on Sunday. Aside from Cole Beasley, the Dallas Cowboys haven't really received -- pun intended -- consistent production from their wide receiver group. Beasley's leading the team in yards and receptions. Only Ezekiel Elliott and Geoff Swaim have at least 10 receptions on the season and more than 100 receiving yards. That's how sparse the WR production has been. Michael Gallup showed up in a big way on Sunday vs the Detroit Lions when he came up with a big play in the first quarter, but his 41.7% reception rate is the lowest on the Dallas Cowboys. Tavon Austin has been an X-Factor with his ability to run the jet sweep and get down field on "go" routes, but his playing time hasn't been nearly enough. The coaching staff is limiting how much of an impact he can have on the game by keeping him off the field. His snap count continues to trend in the right direction. Sunday's 25% snap share was higher than any other game Tavon's played this season. Deonte Thompson and Allen Hurns have had some solid moments. Thompson is second on the team in first down receptions, but hasn't provided much else. Hurns has been a disappointment. He had a drop on what would have been a crucial first down reception on Sunday. The Dallas Cowboys are ranked higher than the Houston Texans in most defensive categories heading into week five. Where the Houston Texans defense has been better is against the run and in forcing turnovers. 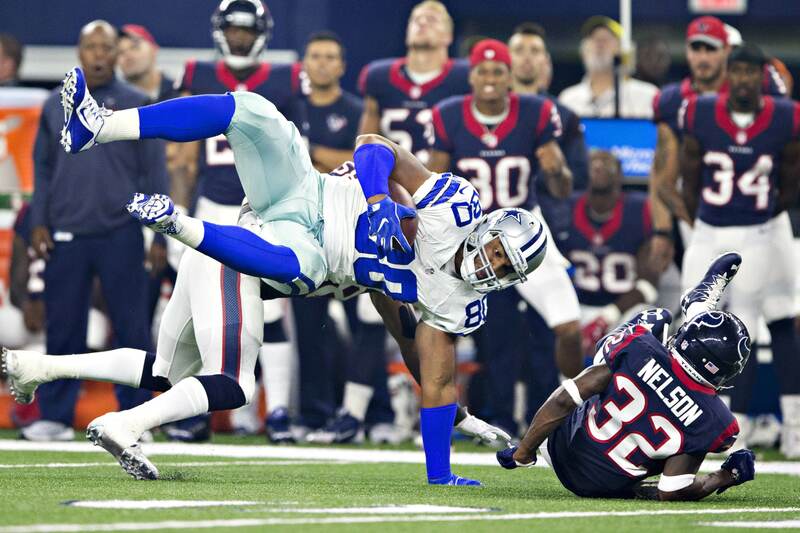 The Texans have forced five turnovers in the first four games, while the Dallas Cowboys have forced two. Against the run, the Texans are allowing only 3.5 yards per attempt. The Cowboys are allowing 3.6 yards per attempt. Both are top five in the NFL. 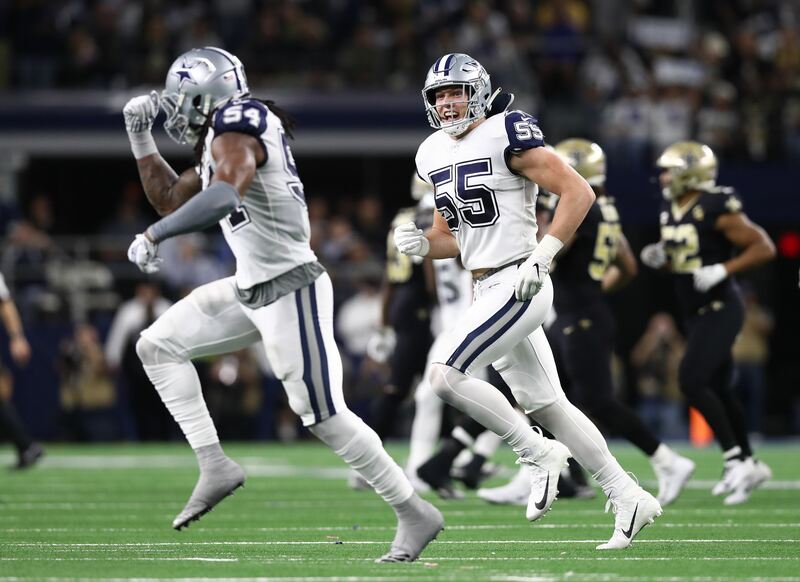 The Dallas Cowboys pass defense is seventh in passing yards against, 10th in passing TDs allowed, and is third in sacks. The Houston Texans have allowed the sixth most passing yards, third most passing touchdowns, and are tied for ninth in the NFL in sacks. The Texans have only intercepted one pass in the 2018 season. Both the Texans and the Cowboys are allowing opposing offenses to convert on third down at just over 44% of the time. Opposing offenses are coming away with points on trips to the red zone 78.6% of the time against the Texans compared to 54.5% of the time against the Dallas Cowboys. 8/9 on field goal attempts, including 1/1 on attempts greater than 50 yards, and a game winning field goal, and 5/5 on extra point attempts. 9/11 on field goal attempts, 1/3 on attempts greater than 50 yards, and has a game winning field goal in overtime, and is 9/9 on extra point attempts. 46.1 yards per punt, net of 40.2 (tied for 15th in the NFL), and has put only five punts inside the 20 yard line, which is tied for 26th in the league. Averaging 42 yards per punt, net of 39 (29th in the NFL), but has put 11 punts inside the 20, which is good for 7th in the league. Running Back Tyler Ervin is the Houston Texans primary return man on both kickoffs and punts. He's averaging 9.9 yards per punt return and 25.3 yards per kickoff return. That 25.3 yards per kickoff return leads the league. Tavon Austin has been the only Cowboys player to return a punt this year, but he's only averaging 4.7 yards per return on his punts. Any good returns he's had have been negated by penalties. Deonte Thompson has mainly handled the kick return duties and is averaging 24.5 yards per return. The Houston Texans and the Dallas Cowboys are pretty evenly matched on paper and it should be a close game on Sunday. For the Cowboys, the key to the game will be how well they're defense will be able to contain Deshaun Watson and the passing game. When they get opportunities to make plays on Watson or the ball when he's under pressure, they'll need to take advantage of it. On offense, Dak Prescott and the passing game will have to be able to exploit the Texans pass defense that is allowing 288 passing yards and 2.75 passing touchdowns per game. For the Texans, they'll have to contain the Dallas Cowboys running game with the same effectiveness they have been in 2018 so that the Dallas Cowboys aren't able to use play action with as much efficiency. On offense, they'll need to keep Deshaun Watson clean and make plays when he's under pressure, because he's going to be under pressure. Statistics obtained from Pro Football Focus and Pro Football Reference.